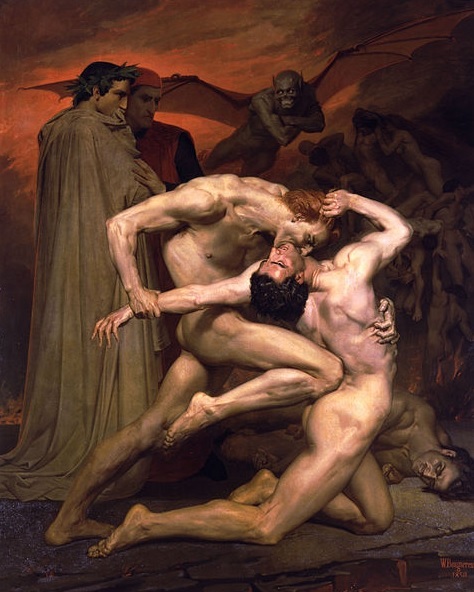 It is the battle cry of melodramatic 19th and early 20th century evangelists, whose favorite image was that of the lowly sinner dangled over the flames of hell, toes toasted crusty as a reward for the hardness of his heart. Modern day revivalists are more subtle, presenting the same message in measured, pseudo-intellectual tones, their words harmoniously and judiciously embellished by the pop musical worship team sharing the platform. What fascinates me most about this verse, used, overused and abused by celebrity Christians and quasi-Christian politicians alike, is that, while it gives the idea that we in the United States are a new and improved Hebrew nation of old, it is rarely — if at all — associated with the country that calls itself Israel today. I mean, given that it was spoken to the community that contemporary Israeli citizens hearken back to as their ancestors, wouldn’t they consider applying it as an option for overcoming lamented, present day travails? But no, it is directed toward U.S. Americans, under the notion that we are a Christian Nation that somewhere went wrong, a new Jerusalem based in Washington D.C. that will be held accountable for not following the laws and rules and regulations of the Old Testament, at least those laws and rules and regulations that keep the underlings quiet, obedient, and submissive to the authority of our political, financial, and religious priests. Are We Still Under the Old Testament? While the contemporary, celebrity preaching fare isn’t as graphically hostile as the message of early 20th century evangelist Billy Sunday, the underlying meaning is remarkably similar. 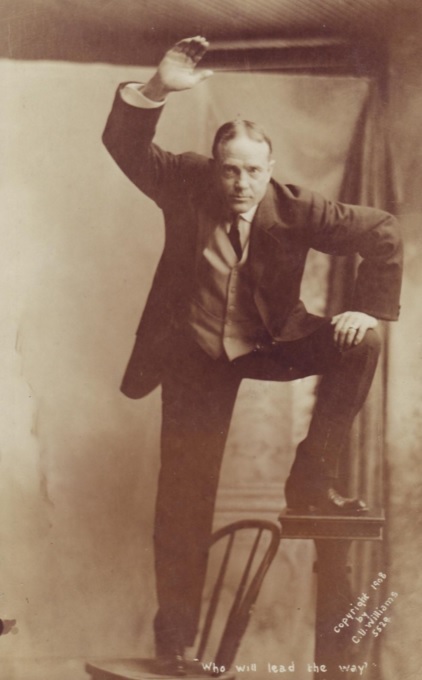 Image of Billy Sunday, circa 1915. Given that we, as Christians, are outsiders in the world’s systems of politics, media, finance, and international trade agreements, it would be more appropriate for us to follow this advice. Those Christians who have spent a significant amount of time in a church setting are familiar with this repetition of repenting, citing the Four Spiritual Laws like a mantra, apologizing on a basis that couldn’t be more regular if they attended weekly confession in the pastor’s office. If anything is wrong in their lives, or in the state of the union, it can’t possibly have anything to do with circumstances, or with political decisions made by parties whose God has much more to do with mammon than anything else. No, all of our problems are squarely in the lap of the masses, the people who have no power or ability to make decisions for the nation, and it is these masses — and not their leaders — who must crawl before God in fear. Every. Time. He walked. Through the door. And yet this is how we, the bride of Christ, are encouraged to address our groom, the husband who loves and cherishes us. He knows that we falter, He knows that we fail, but what kind of relationship will we develop if this is ALL we talk about? Aren’t relationships so much more healthy when both sides recognizes the love and acceptance of the other, and isn’t the commitment of the stronger person to be gentle and meek with the weak? At least it is with Christ and His church, His people who are not obligated to offer sacrifices in a central temple, follow Old Testament Law, and live petrified because we are in constant fear of being tossed into the abyss. You, my ordinary brother and sister in Christ, have no power to make national policy, and thereby, are not to blame for the policy that is made. If there is to be cringing and debasement for the lamentable state of political, economic, and religious affairs in one’s nation, then let it be begun by the leaders who ushered it in. Thank you for joining me at This Woman Writes, where I encourage people to stop listening to the media voices, and tune into the still, quiet voice that is best heard when we are still, and quiet, ourselves. That generally doesn’t occur in the midst of a packed sports stadium. This entry was posted in Christian, Current Events, Faith, Family, God, home, Life, Lifestyle, Politics, religion, spirituality, Uncategorized and tagged Billy Sunday, Christianity, evangelist, God, Hebrew, hell, Israel, Jeremiah 7:14, law, leaders, Old Testament, preacher, repent. Bookmark the permalink. 2 Responses to Tired of the Command to Repent?